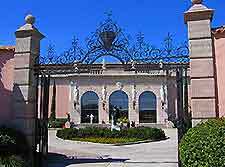 There are several excellent museums in Sarasota, covering all kinds of topics that are well worth a look. Kids will enjoy most of Sarasota's museums, such as the brilliant G. Wiz science museum, which sports lots of fun and hands-on exhibits. 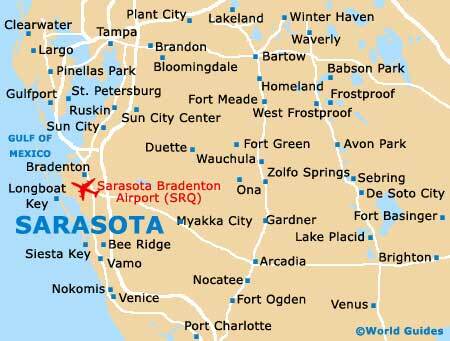 Close to Sarasota, the South Florida Museum and Parker Manatee Aquarium, with its resident manatee, are also popular. 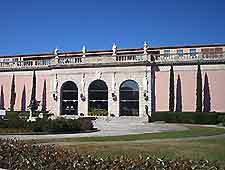 Here are Sarasota's main museums. Celebrating the Ringling Family Circus, Sarasota's exciting Circus Museum features a vast collection of circus artifacts, art works and memorabilia. Highlights include colorful costumes, circus props, wagons, equipment, models and many other exciting attractions. With its museum, hiking trails, wildlife and picnic facilities, Sarasota's Crowley Museum and Nature Center affords a great day out for the family. There are educational programs and events here throughout the year, including a folk festival, an annual antiques fair and pioneer days. The main attraction at the center is the nature experience, owing to the abundance of wildlife out on the trails. The South Florida Museum and Parker Manatee Aquarium, close to Sarasota, showcases the history of the state through prehistoric artifacts and Native American culture displays, while the museum also boasts the oldest living manatee in captivity, Snooty. 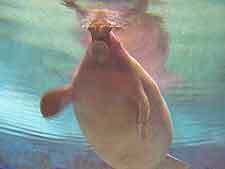 Snooty resides in a massive 60,000-gallon tank and is best seen at feeding times. In addition, the museum has a new digital planetarium. This fun science center is loaded to the hilt with interactive exhibits and educational displays and is great for the whole family. Located in the Blivas Science and Technology Center, G. Wiz covers the earth and health sciences with its fun exhibits, while the ExploraZone has annually rotating displays focusing on sight, color, mathematics, motion and more. In operation since the early 1950s, the Sarasota Classic Car Museum features rare, restored classic and muscle cars, some of which were once owned by famous people, including John Lennon and John Ringling. Cars featured include Auburns, Pierce Arrows and Rolls-Royces. You will also find a haul of antique music boxes, some of which were invented by Thomas Edison, as well as antique games.